Last time I had ten minutes to pop in here, I was utterly panicked (could you tell?) 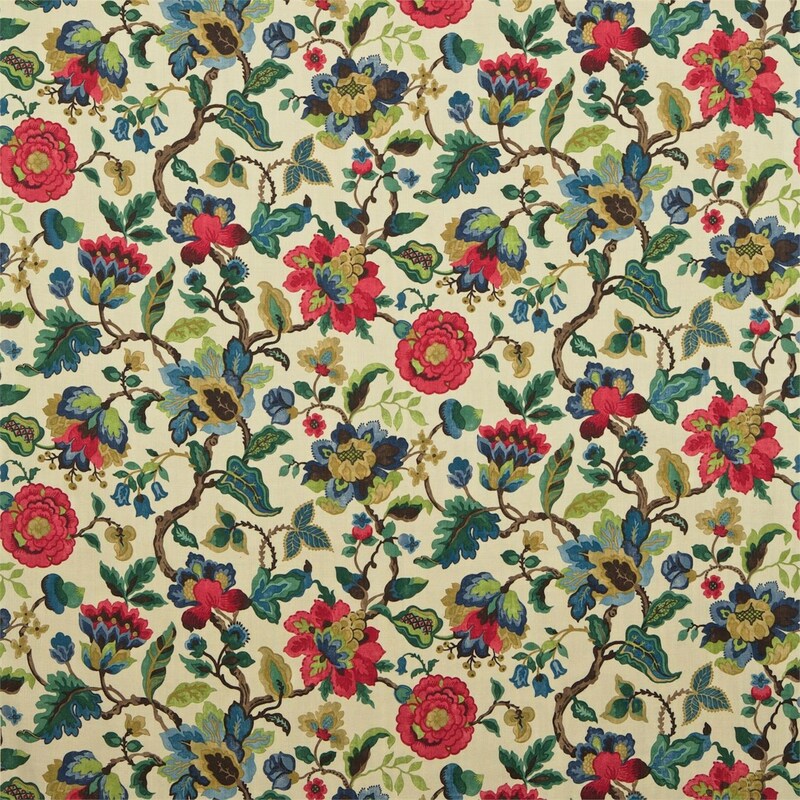 about finding a fabric I like, ever again. Well - problem solved! Now I like fabrics I can't afford. But Pete, the steadfast voice of reason in all this, says we should get what's right, regardless. We planned this renovation for too many years, and have put too much work into it in the last two, to end up with a compromise we will only replace later, at further expense. These fabrics are both reproductions that originally appeared in the 1920s. 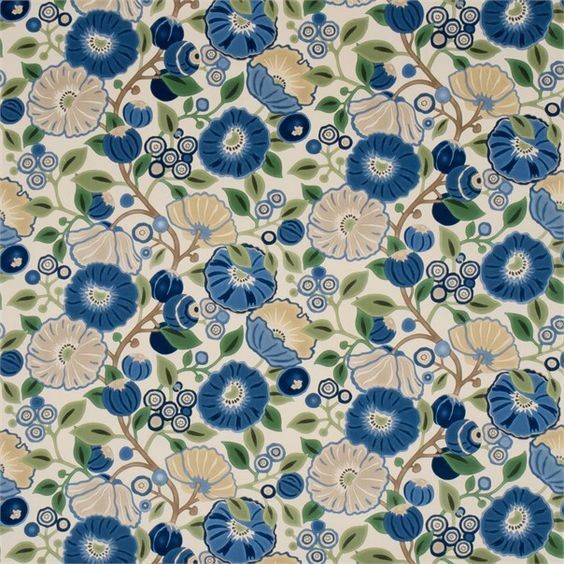 A little dated for our 1940s house, but plausible as fabric that might have been left over and therefore available to a family setting up house in wartime. Or perhaps that they are recycling from their early years together. I've tried to stay close to the backstory that ties together the choices we're making for the house because otherwise it is just a sea of decisions that are overwhelming and easy to get wrong. And that takes us firmly off-trend. But what a relief that is, when it's possible! We see trends all the time in knitting too, right? Patterns everybody just has to try, or yarns that somebody else used to great effect that we can't resist having for ourselves. Even so, there are still so many yarn makers out there - manufacturers large or artisanal, hand-dye artists, producers of roving for us to spin into our own creations - we have no need to follow those trends unless we want to. When it comes to construction and design though, I'm finding the choices are actually more limited than they seem, and within the range of options, you are almost always restricted by price or specific application. 'Trends' are what sell, so that's what affordable retailers make available, and are therefore what sells, until eventually everybody is so sick of seeing the same thing everywhere the trend goes out of fashion entirely. So even though it meand having to pay more for fabric that fits, I'm grateful for the backstory I created for our house. It lets me look to older things I can find in antique markets and furniture designs that have been around for decades. If it all comes together, we'll have a beautiful home that is fixed in a time so far back, it will be more Homey Museum than Dated Time Capsule, and I won't have to sew EVERYthing just to stay on budget. You know, other than everything that hangs in windows visible from the street, because I'm not 100% sure I trust myself not to mess up the linings - especially with my sewing machine heavily surrounded by packing boxes. Meanwhile, check out Tree Poppy in red and gold. The poppies are huuuuge! And in person - the fabric is 100% cotton, brushed for softeness, and it looks like velvet. 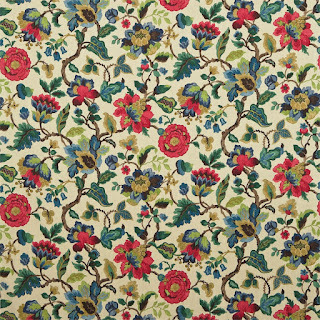 Love this fabric so much. I'm working with an upholstery and interior design shop near our house that's been in business pretty much forever and has tons of repeat business in the neighbourhood and farther afield. 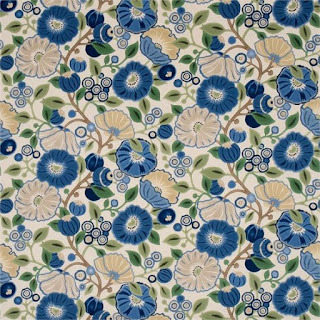 They are lovely, but they don't have all the samples I needed to see in stock so last week, when I realized that all the fabrics we like are from Sanderson, I asked whether I might go to their Toronto showroom. I got the address and walked over the very next day in gorgeous, perfect weather, and told Beth at the desk who had sent me because of course, the showroom is Trade Only. Well, it was like an Open Sesame to one of the happiest mornings of my life. I knew what to expect - lots of fabric in large swatches to look at and touch - but in reality it was like walking past eight- or nine-foot-tall books, each page a full-width cutting from a larger bolt. 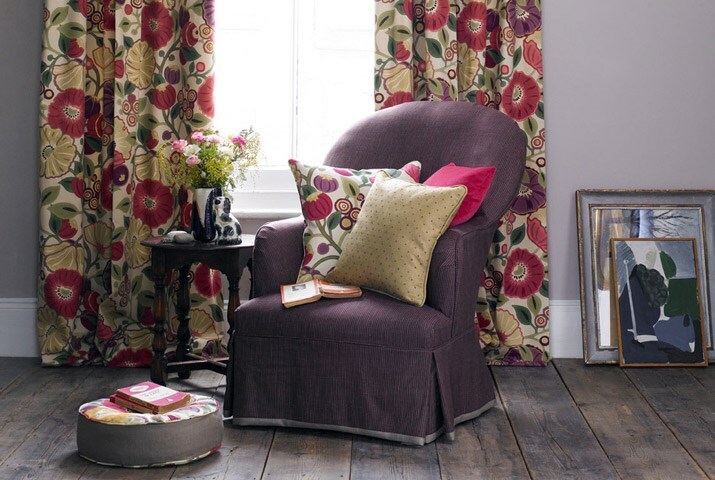 You just stand in front turning the pages and imagining each design on your window or sofa. I have a picture or two and will tell you more about it another day when I am not pulled in six directions, but for now let's just agree that I should totally go back on my birthday and just sit there, absorbing the quiet beauty, while drinking tea. It would be the best birthday ever if I did! Hope you are well - see you again as soon as I can manage.